In my Yosemite post, I talk about my experience jumping out of my comfort zone into an amazing group of adventurous people. Most of us all meeting for the first time. 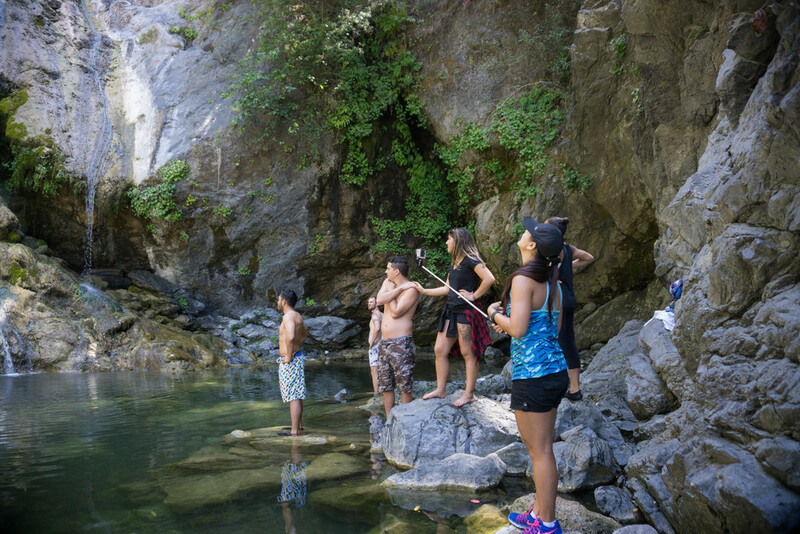 Yosemite was such a blast and we all clicked so well that shortly after we planned this Big Sur trip! 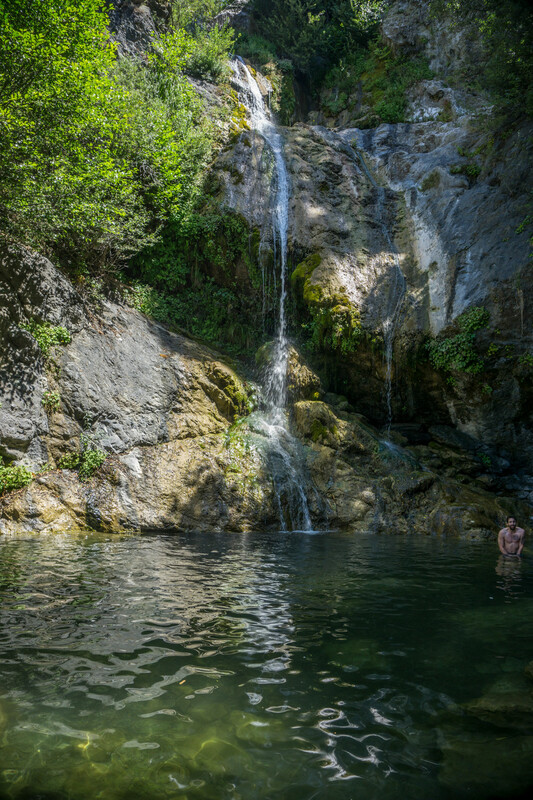 It went from 15 people in Yosemite to 18 people in Big Sur. Our crew is continuously growing! Anyways, my trip to Big Sur started with a solo train ride up to Irvine. I started in Solana beach and it took about a little over an hour to get to Irvine. From there my friend Tina who was also going on the trip picked me up. We went back to her place and we began loading her car with the necessities. From there we stopped by California Fish Grill for some dinner and headed up to another friends house an hour away in Marina Del Rey. That's where we met up with a majority of our crew and loaded up most of the stuff. From there we headed up to San Luis Obispo where we would stay for the night. The next morning we woke up at the crack of dawn to some Lion King. A few of us prepared breakfast for everyone which consisted of delicious crispy bacon and some vegetable scrambled eggs. 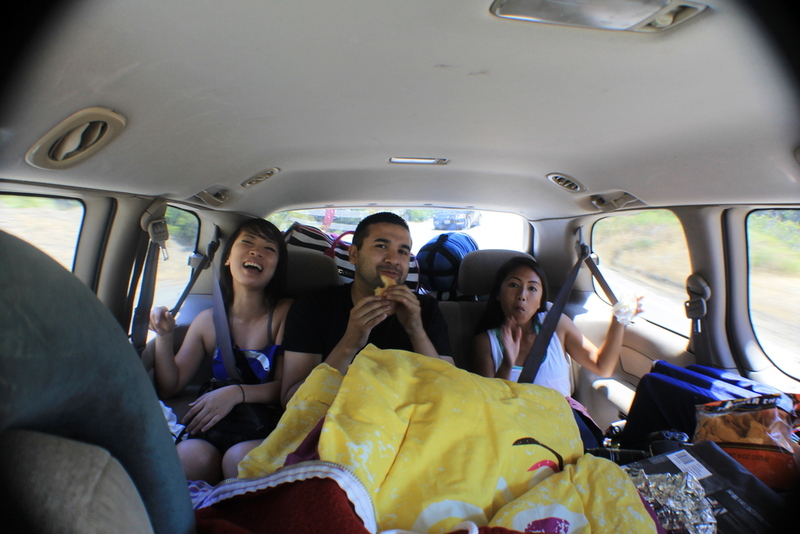 We then rolled up our sleeping bags, changed into our adventure clothes, and made some sandwiches for the road. Every car loaded up (5 cars deep) and our walkies were turned on. Each car except for one had a walkie so we could communicate and not waste our phone batteries and also because we would eventually have no service. Along the way, we passed by some zebras! So of course we stopped to snap some photos. Our next stop was Salmon Creek. We had to park a little ways away on the side of the road and walk over to the trailhead. You had to cross this sketchy little contraption to get to the salmon creek waterfall but it made the trip 10x more fun. Some of us got all the way down while the others were stopped by the rangers. Apparently we couldn't go to the trails because we weren't camping there. This is what Tina, Chris, and I were dealing with the whole trip. Food, toilet paper, coolers, camping gear, all of it. But it's okay because it was still a fun ride! 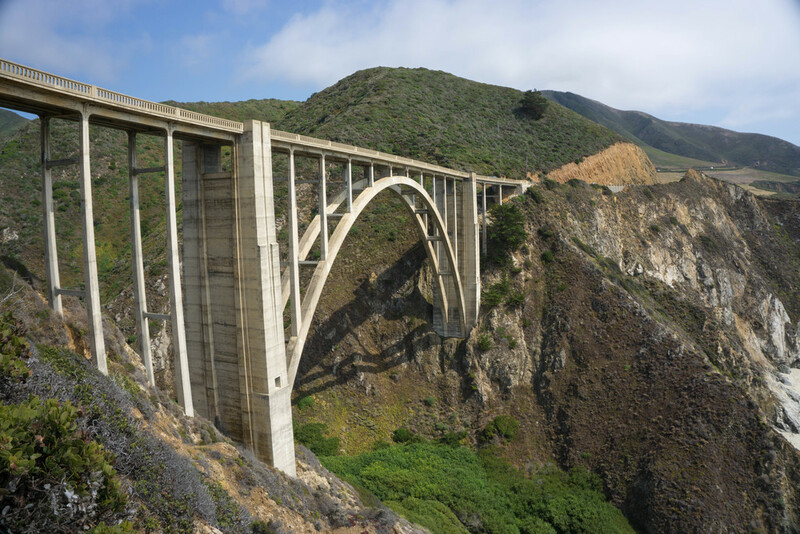 Finally, we made it to the Bixby bridge which was the furthest north. 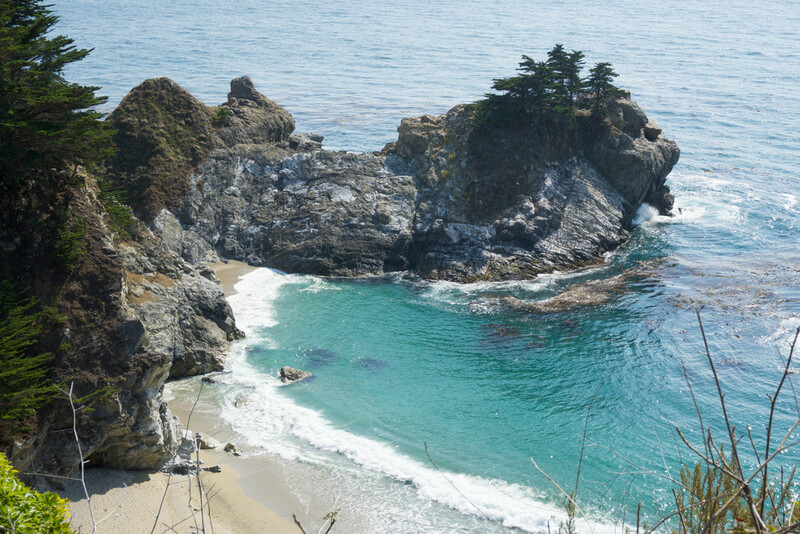 Our last stop before reaching our campsite was McWay Falls. I've seen this view so many times on Instagram but seeing it in person way surpassed my expectations. After about an hour of driving up some sketchy roads, we finally made it up to Prewitt Ridge. We were literally above the clouds. 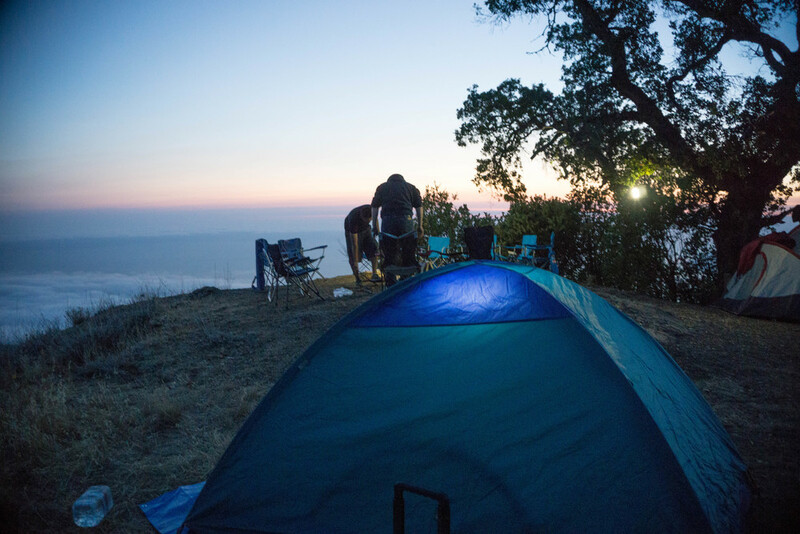 I found this free campsite on this amazing site called The Outbound. You can find information about this campsite here. You should definitely join the outbound to find more awesome places to explore! Join here. You won't regret it! We were originally setting up camp at this spot but realized we were around families. So we decided to find somewhere else because we knew we were going to be loud lol. Eventually, we found our new campsite which was WAY better! It was secluded with no other campers around and we had such an amazing view. There was also plenty of room for all our cars and tents that we brought. We didn't have much daylight left so we got to setting up camp quickly. The crew did an awesome job making this campfire! I had lots of fun taking these tent and star pictures. After everyone woke up we started tearing down camp and got ready to head home. This is Squad Squad...I think they got renamed to Princess Squad by the end of the trip though haha. This is MJ! You can't tell but their windshield says M <3 J ... So cute! And last but not least we have Rubber Ducky! Me & my "Aunties" hehe. Thank you to my Auntie Marie(in the middle) for inviting me to the first trip in Yosemite and allowing me to grow with this awesome adventure crew!